Instructions on https://pureos.net/download/ fail for some users, due to a recent rebranding of Etcher and/or the usage of AppImage as a delivery mechanism on GNU/Linux. 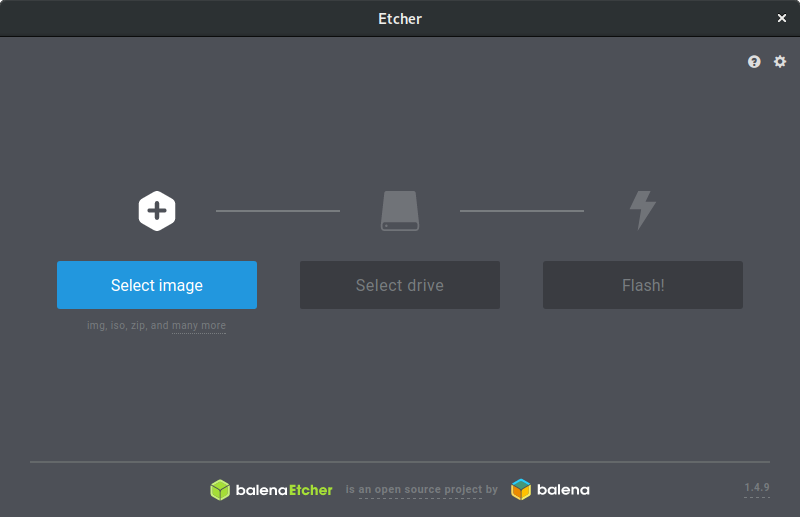 * Download Etcher for your current operating system. * Select the PureOS ISO file you downloaded. * Select the USB drive you want to turn into an install drive. * The USB drive is now an install drive! 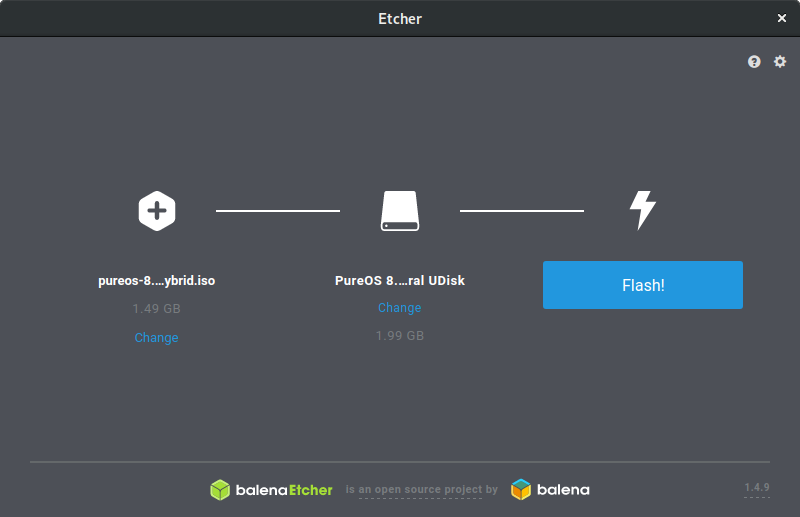 * [Download and Install Etcher](https://www.balena.io/etcher/) for your current operating system. * If you run into difficulties, try these [alternate instructions](https://github.com/balena-io/etcher). Small screenshots might be worthwhile here as well. Here are two screenshots of etcher.